Onkyo has been making high end, high resolution portable digital audio players for quite some time now. Their Onkyo DP-X1 was one of their popular portable audio players. Modern digital audio players nowadays usually run on a modified Android operating system as it gives it flexibility and multi-function as well. We have seen DAP manufacturers innovate their DAPs from analog, Linux based user interface, to a modern and smartphone-like DAPs. Since most high end and modern day DAPs use Android operating system, why not go all the way and add a smartphone function as well? This is where the Onkyo Granbeat DP-CMX1 comes it. It’s the company’s latest portable audio solution where they combined a digital audio player and a smartphone into one device. 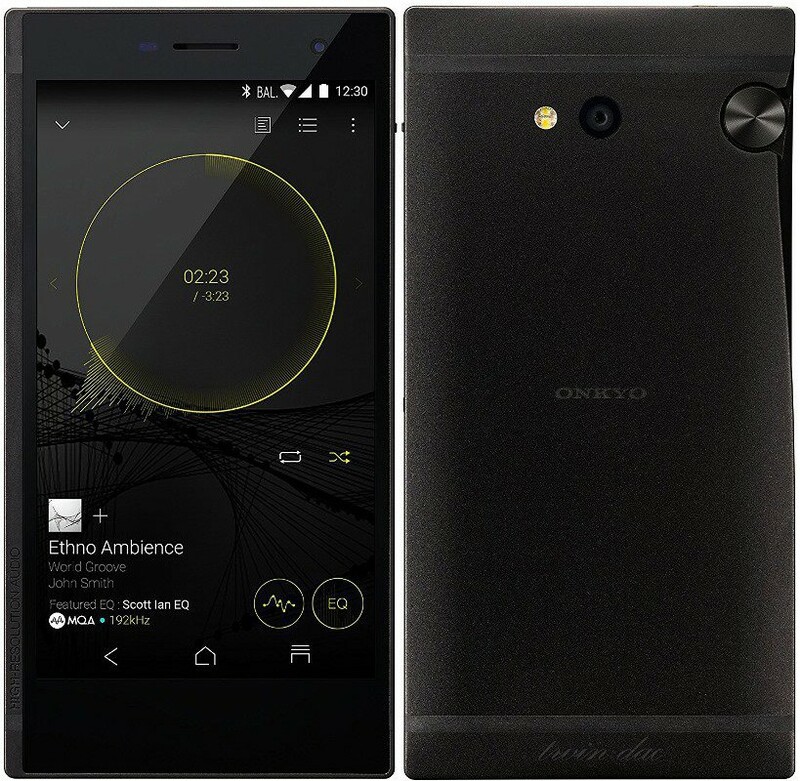 First let’s talk about the DAP side or the audio features of the Onkyo Granbeat. It features a twin DAC full balanced circuit, just like the previous Onkyo DAPs, and its audio section is powered by two ESS ES9018C2M chips for its DAC section and two Sabre 9601K chips for its Amp section. It supports both PCM 24bit / 384kHz and DSD 11.2 MHz audio formats; including the usual FLAC, ALAC, WAV, AIFF, MQA and etc. audio files. On the smartphone side and the general features of the Granbeat; it sports a huge 5-inch full-HD IPS LCD with Gorilla Glass 3. It runs on a modified Android 6.0 operating system and the unit itself is powered by a Qualcomm MSM8956 Hexa-Core SoC. It’s powered by a 3,000 mAh battery that features a 90-minute quick charging time. The battery is rated to last up to 25 hours of music playback or up to 22 hours of continuous calls. Of course, expect that battery life in real-world may be lower. The Onkyo Granbeat DP-CMX1 has a built-in internal storage of 128GB and can be expanded via a microSD card, up to 256GB. It also has a dual nano SIM slot with dual SIM dual stand-by and supports 4G LTE, and 3G data. 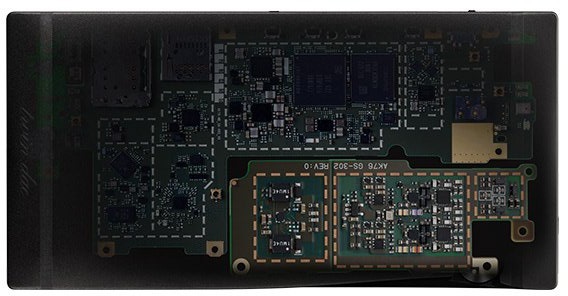 For those who are worried that the smartphone section might interfere with the audio section, the PCB or circuit board of the audio section is actually separated from the smartphone section. It has Wi-Fi and Bluetooth connection as well. What is a smartphone without a camera? The Onkyo Granbeat features a 16 megapixels rear facing camera that can shoot HDR and 4K movies. The camera features an ExmorRS sensor and a lens with an aperture of f/2.0. There’s also an 8 megapixels front facing camera for taking selfies. You can check out the rest of its specifications from the table below. Main unit operation Rotary volume knob, play, skip, return, HOLD * HOLD key will invalidate all screens, key operations, and reception operations. At the time this article was published, we don’t know yet what would be its retail price in the US. Currently the Onkyo DP-X1 retails for around $500 USD and the Onkyo DP-X1A retails for around $660 USD. Amazon.co.jp has already listed the Granbeat DP-CMX1 for around ￥83,246. Based on its predecessor’s prices and its Japan retail price, the Onkyo Granbeat may be priced at around $900 USD, more or less, in the US if ever it becomes available.